Judge's Park Small Animal Rescue uses PetFinder to advertise and promote our adoptables. 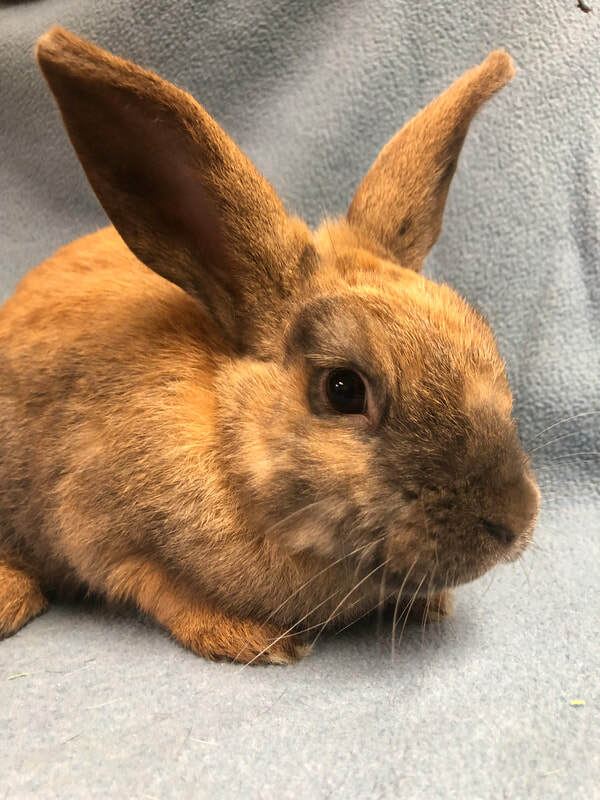 Hop on by ﻿﻿﻿o﻿ur shelter page﻿﻿﻿﻿ to see pictures, videos and learn more about the current pets available for adoption! If interested in adoption, please fill out our adoption application on the drop down under Adoption above! All of our animals listed below are sponsorable. 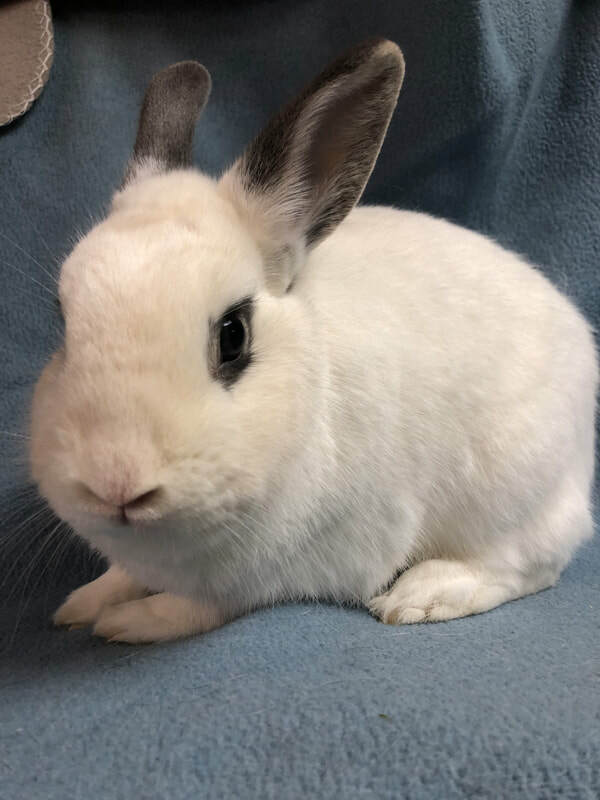 Our spays for rabbits are $55, neuters are $40. All of our cats usually get fully vetted for $100 a piece. On top of that we spend money on bedding, food, cleaning supplies etc. Donations can be made at Azeem0510@yahoo.com through Paypal. For more information, pictures and videos about all our adoptable friends please visit our PetFinder Web Page. 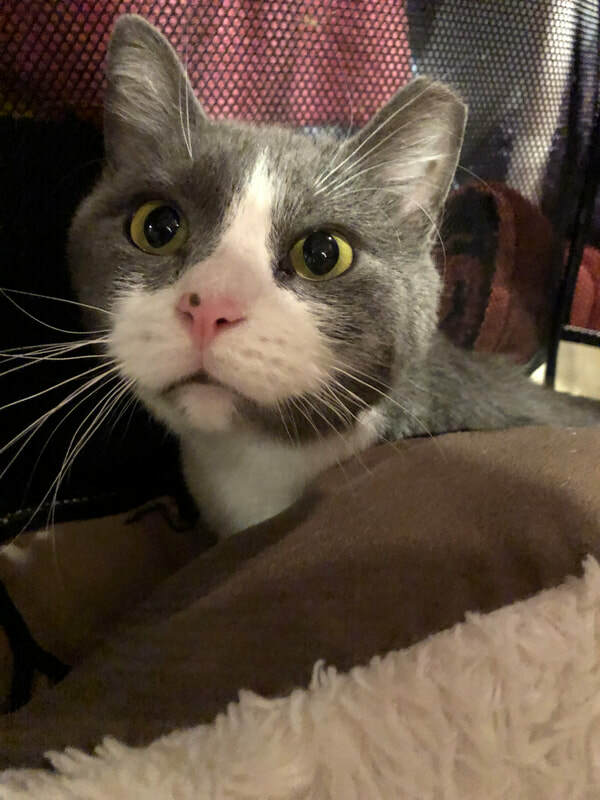 Update 4/2019: Our sweet and lovely Gus has now been given approval by the vet to find his forever home! Gus spent months in a local shelter with chronic skin problems. He was unfortunately unadoptable in the state he was in so he came to our rescue! Since he has left the stress of the shelter his skin has cleared up wonderfully and the dermatologist we took him to believes he just has some food sensitivities that flared up badly but now he is good. He is on a prescription food and the adopter would need to monitor to make sure he doesn’t have any flare ups. -Gus came into the rescue from a local shelter where he had lived for months. He had constant skin issues at the shelter where he was covered in sores and missing hair. The shelter did every test and treatment they could but nothing would make him better for an extended amount of time. They ran out of options so he had to find a rescue. We gladly took him here as he is such an amazing little boy. He’s outgoing and friendly, makes all the happy paws, and we’ve found out since he’s been here that he LOVES everyone! Adults, children, dogs, and cats. He’s just an absolute lover. He even lets us rub his belly! The funny thing is too, within a week of being out of the shelter, all his sores had healed and no new ones have formed. We are guessing now that it was stress related but he has an appointment with a dermatologist to make sure there is nothing else going on. Once has the all clear from the vet he will be able to find his forever home! Gus is already neutered, microchipped, utd on all vaccines (FVRCP and rabies), negative for FIV and Felv, dewormed, and on flea preventative. Gus will be adopted to an indoor only home and must never be declawed. Interested adopters can fill out our adoption application here: https://www.judgespark.org/adoption-application.html. Adoption fee is $50 which includes all of the above vet care. 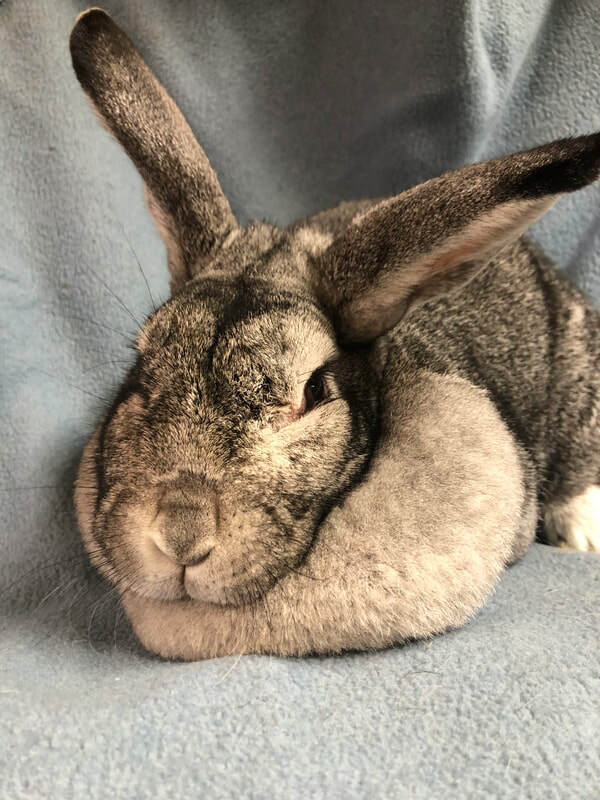 Reason in Rescue: This boy was part of a large group of bunnies rescued from someone’s garage. We’ve taken three of them in to our rescue total. Personality: Opal is one of those special bunnies that I personally love. He didn’t have a lot of positive human interaction growing up so he can be a little feisty. He will box and grunt at you if you mess with his stuff or put your hands in front of him. Thank being said, when you go slow and work with him and pet him from above, he LOVES attention. He loves being petted and likes being held. He just needs to learn to not be defensive and find a home that will teach him that everything is okay and you can relax a bit now! He is perfectly litter trained. Friends: he is a good candidate to be bonded to a spayed female. Requirements: Must be adopted as an indoor animal, with an as large as possible plastic bottomed cage or puppy pen (minimum 4' x 2'). Adoption process: An adoption application must be filled out (http://www.judgespark.org/adoption-application.html), and approved by us. Then we will arrange a meeting time to see the animal of interest. A home visit is required prior to adoption. Suggested adoption donation is $60 which includes his neuter and microchip. 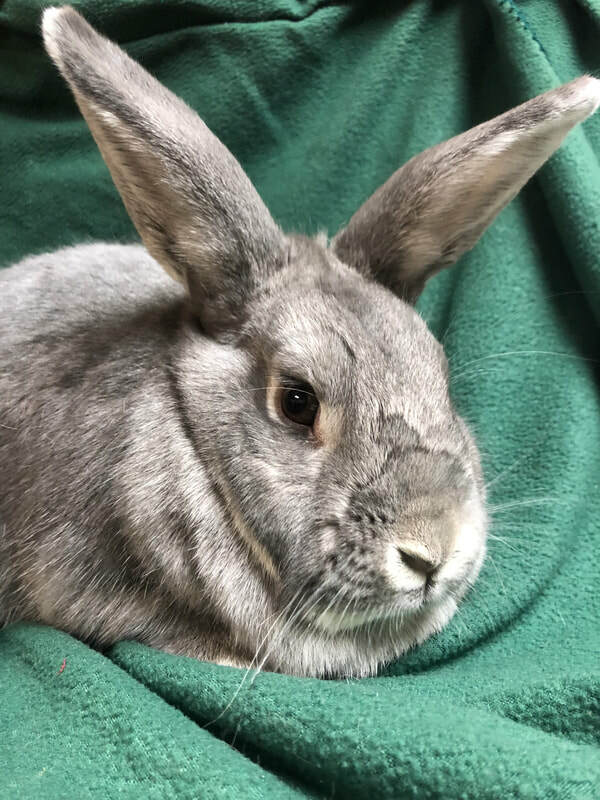 Reason in Rescue: Siegfried and his two brothers came from a group of bunnies running loose in Las Vegas. These guys were born outside and luckily a rescue stepped in and saved them. Personality: Out of the three brothers Siegfried is the last one left! 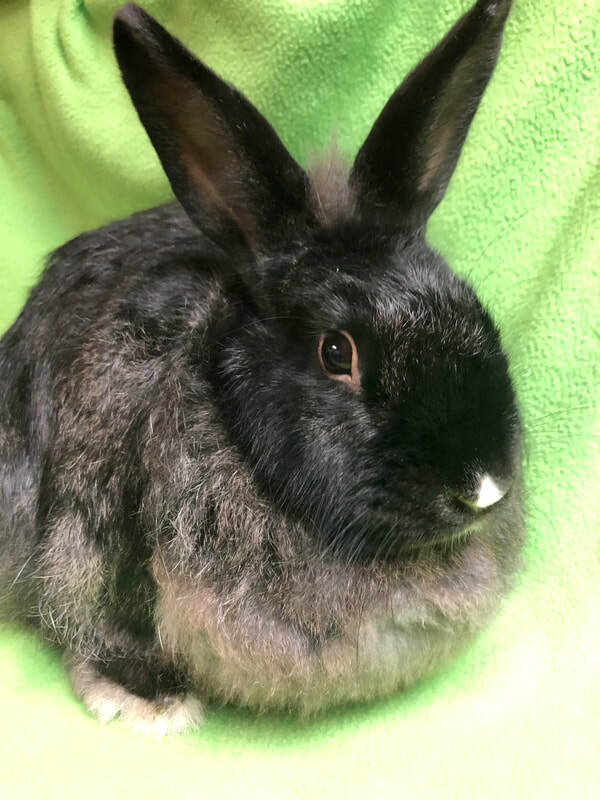 He is super friendly and sweet and is good with handling and being brushed. He is litter box trained. Please keep in mind that angoras need almost daily brushing to keep from matting. 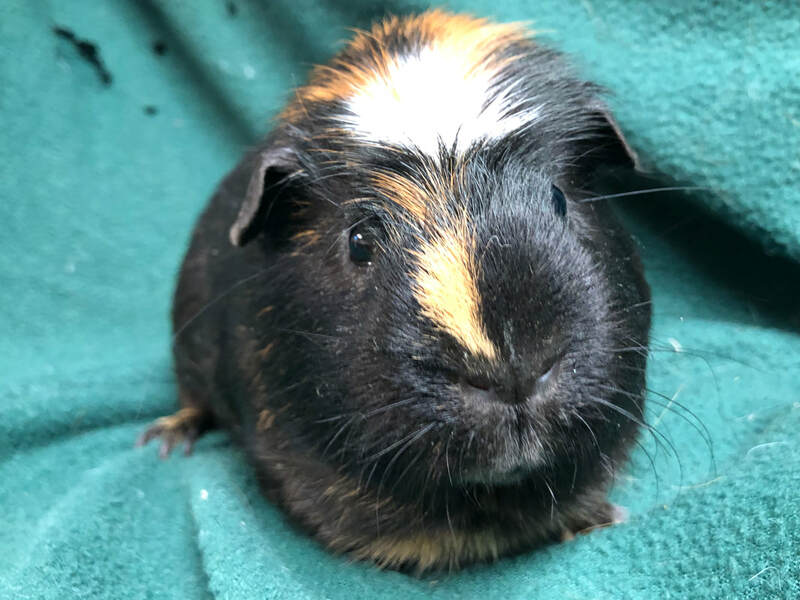 Friends: Siegfried is a good candidate to be bonded to a spayed female. Breed: some sort of large breed mix, possibly Flemmie. Reason in Rescue: This girl came from a local shelter that was full. She was also having some behavior issues so she came to us for rehab. Personality: Heidi is a very special girl. Before she came to rescue she obviously had never known a kind touch or word. She was very defensive at the shelter and would try and bite if you’d reach in front of her. Trying to pick her up or pet her was also a challenge, though less out of aggression than just fear. Since she’s been spayed and arrived here with us she is still scared but she is calming down a lot. Other than some grunting she has not shown any aggression here. We are going slow with her and teaching her that petting and handling is not bad. I see a very sweet girl in there that needs a quiet and understanding forever home to work with her. 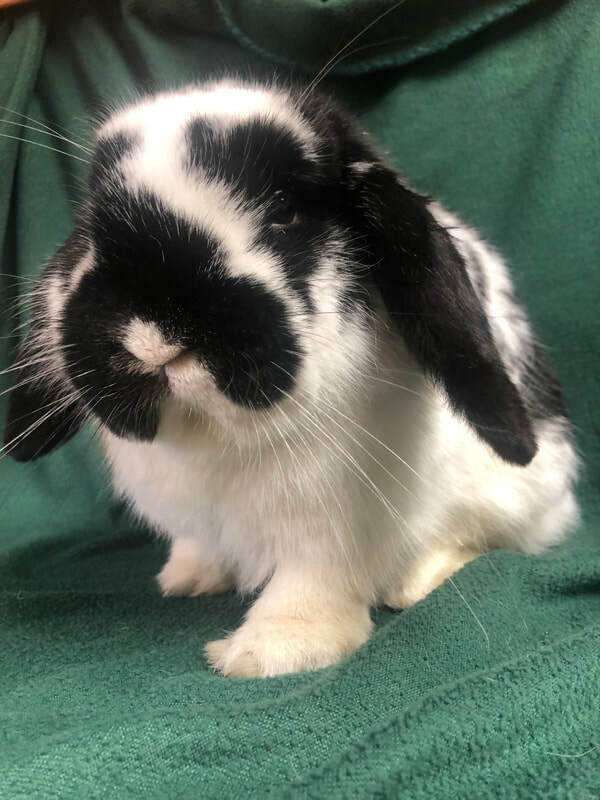 She is litter trained and would do good as a free range bun. Friends: Heidi may be a good candidate to be bonded to a neutered male. Requirements: Must be adopted as an indoor animal, with an as large as possible plastic bottomed cage or puppy pen (minimum 4' x 2'). Adoption process: An adoption application must be filled out (http://www.judgespark.org/adoption-application.html), and approved by us. Then we will arrange a meeting time to see the animal of interest. A home visit is required prior to adoption. Suggested adoption donation is $60 which includes her spay and microchip. DOB: She was a stray but we believe her to be between a year and two years. Personality: Sharon we believe was our running loose for a while. When she came here she was very terrified and shut down. As she’s settled in she’s realized that we are here to spoil her and love her and she is coming around. She can be scared initially when being handled but once she knows you she calms down very fast. She’s a big sweet girl and likes being petted. As with most large bunnies she doesn’t like being picked up too much but she tolerates it. She had been very good with her litter box and will do better as well now that she’s spayed. Friends: She is a good candidate to be bonded to a neutered male. Requirements: Must be adopted as an indoor animal, with an as large as possible plastic bottomed cage or puppy pen (minimum 4' x 2'). Adoption process: An adoption application must be filled out (http://www.judgespark.org/adoption-application.html), and approved by us. Then we will arrange a meeting time to see the animal of interest. A home visit is required prior to adoption. Suggested adoption donation is $60 which includes her spay his and microchip. Reason in Rescue: This little boy was part of a cruelty seizure of a bunch of dfa animals. They were living in teeny hutches with literally feet of feces underneath them :(. They came to us from another rescue that had taken them in because they didn’t normally deal with bunnies! Personality: Boomerang is a little bun that is learning that the world is not a scary place. These guys apparently were super scared when they got to the last rescue but they have been getting a lot of socialization and are doing better. He can be very nervous and tends to ping around when he’s scared (thinking that is where he got his name lol), but once he calms down he does allow you to hold and pet him. He just needs a quiet home with someone who can teach him that different things are okay! He also will calm down as he gets older! 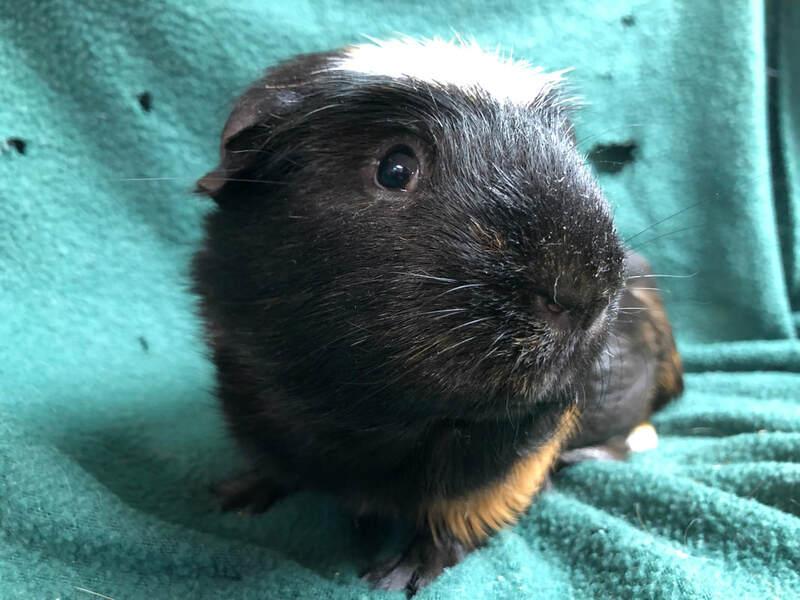 Reason in Rescue: This adorable little guy was a surrender to another rescue that was too full so we took him as we had some open cages. Personality: Cody is a very nice boy. He's very interested in people and likes being petted and doesn't seem to mind being picked up. He's learning how to use a litter box and is doing very well. Cody is a jumper and will jump a standard x pen so he should be housed in one with a top or a larger size cage with a lid. Friends: Cody is a good candidate to be bonded to a spayed female. Reason in Rescue:This little girl was gotten for a kid and then that kid went to college. Guess what? No one in the family wanted to deal with her, so at the young age of 6 months, they wanted to get rid of her :( So she came to us to find a home! 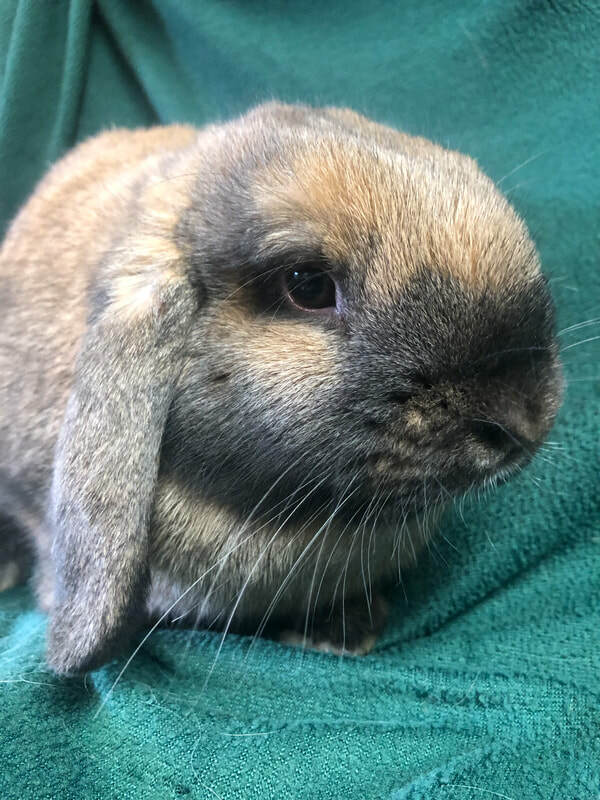 Personality: This little girl is a typical lop, very sweet and outgoing. I don't think she's been handled a ton as she really doesn't like being picked up and held and doesn't know things she's not supposed to do like chew on stuff and be annoyed when you tell her no lol. We're going to get her used to being handled, as well as get her spayed which will calm her down a lot! 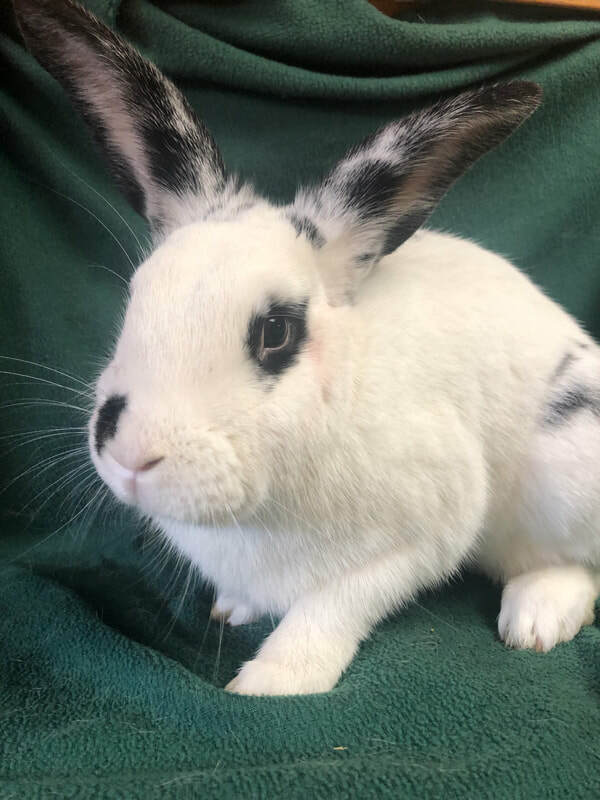 She's a very good bunny, just needs some kind people to work with her! Despite her cute looks I wouldn't recommend her for kids. She is very good with her litter box. Reason in Rescue: This little boy was bought as a present for a child and of course, said child lost interest :( Big surprise. So this sweet boy came to us. Their loss! Personality: Shiloh is FRIENDLY. He loves people, loves being petted, doesn't mind being picked up despite his size, and just wants love. He really likes our 3 year old, and likes any of the animals he has met at our house! He also uses his litter box wonderfully! He is an all around great family bunny! 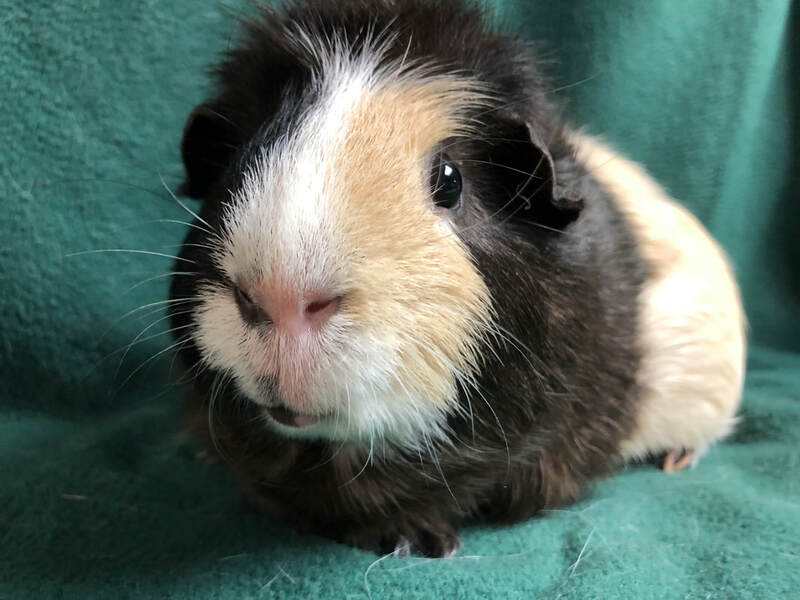 *S'mores and Rocco came in as a pair to our rescue because they were given away for free on craigslist (which tends to attract a very bad outcome for small animals). 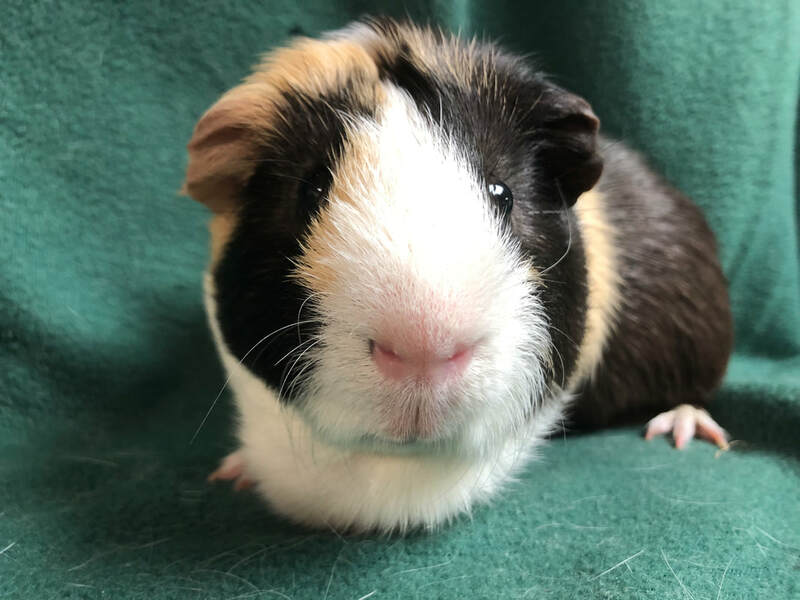 These two are very sweet boys, and though they do the typical "run away when you go to pick them up" guinea pig thing, they are very sweet once you get them, and quite laid back. 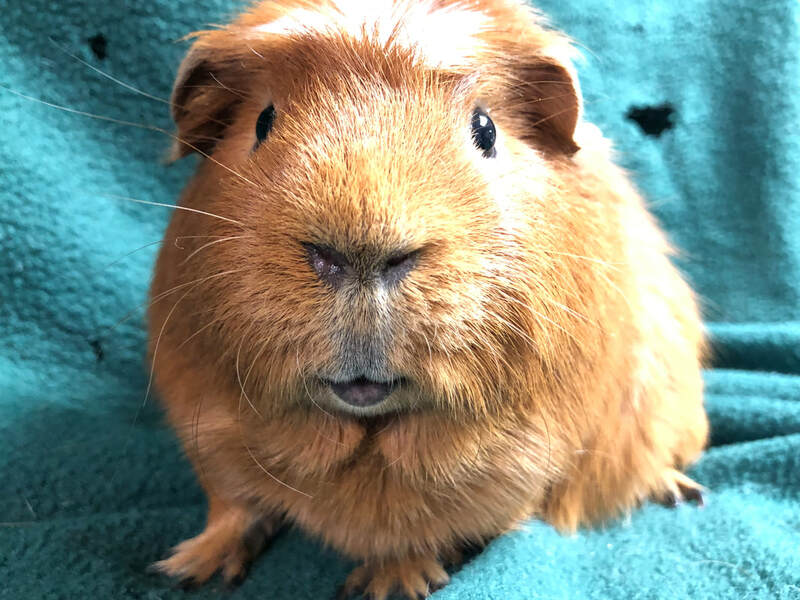 Check out www.guineapigcages.com for information on housing and https://www.guinealynx.info/ for information on care and housing. If interested in adoption, please fill out our adoption application at https://www.judgespark.org/adoption-application.html. Adoption fee is $35 for the pair.